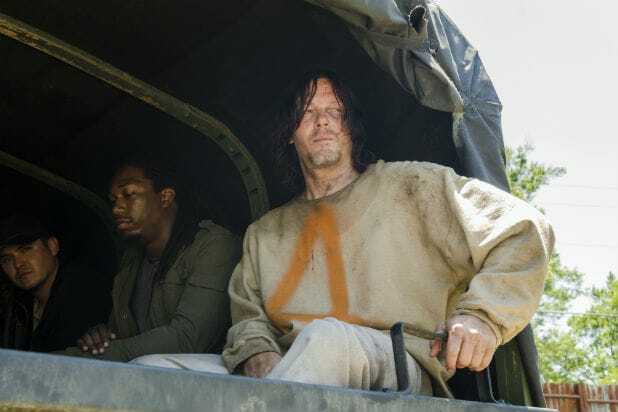 A new “Walking Dead” fan theory suggests that a captive Daryl was able to get a message to Rick without saying a single word. In the most recent episode, Negan brings Daryl back to Alexandria as he pillages pretty much anything of value in the walled community. Daryl is completely silent throughout the episode, but fans believe that subtle clues show that Daryl was speaking volumes to Rick. Early in the episode, Michonne is leaving the house that she and Rick share, and we see a very prominent wall decoration that displays all the signals for American Morse Code. Later, when Daryl arrives with Negan, Rick looks directly at his friend and Daryl blinks several times. 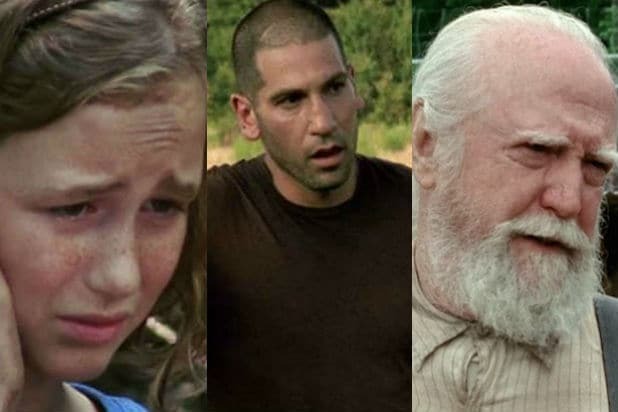 A reddit user believes he has cracked a code that Daryl was trying to send via the blinks. Based on the blinks seen in this GIF, Daryl appears to be telling Rick “I-E-A-S-T” or “I East.” The theory is that Daryl is telling Rick where The Saviors’ compound is located. Other theories say Daryl is spelling “6 miles East” or “East of Hilltop.” No matter what, they all contain the word “East” in one way or another. To be fair, Daryl has been kept locked up in a dark room for most of his time with The Saviors, so the blinking could easily be his eyes simply readjusting to sunlight. But then again, Daryl has proven himself to be incredibly resourceful, and he and Rick have a bond that makes them closer than brothers. Whether or not Daryl was indeed sending Rick a message will likely play out in a future episode.